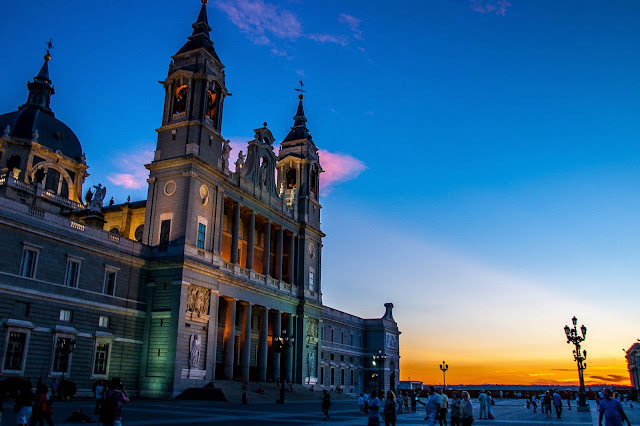 The Royal Palace is the biggest building in Madrid, and the largest Palace in Western Europe. There are more than 3,400 rooms inside. Imagine playing hide and seek in there! I’m tired just thinking about it. Anyway, the Palace remains as the official residence of the King of Spain, so if you are playing Hide and Seek, you know…just be careful. That’s all I’m saying. There are 50 rooms open to the public and the Palace also has wonderful gardens in Campo del Moro. Sabatini Park is also located in the immediate area. 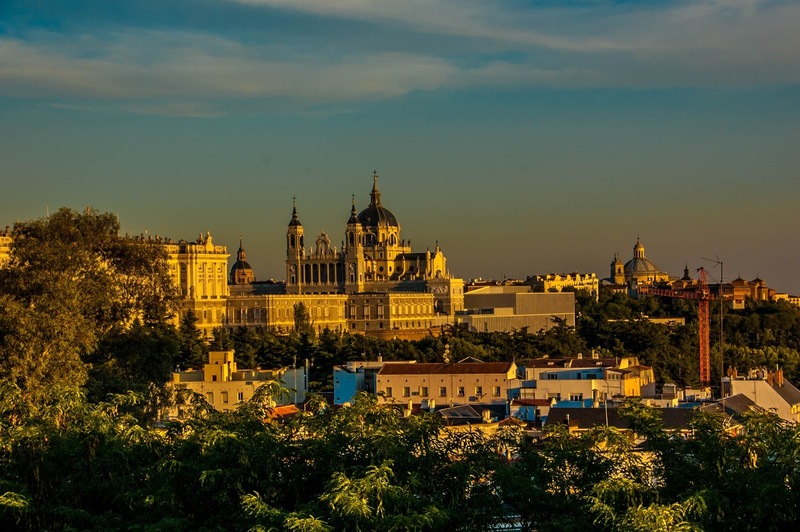 In addition to this, just outside the Palace perimeter is the Plaza de Oriente, which is a beautiful square, adorned with the statues of 44 Spanish monarchs. The Palace and Cathedral next door look stunning when lit up in the evening. I seem to say that all that time, but it doesn’t make it any less true. 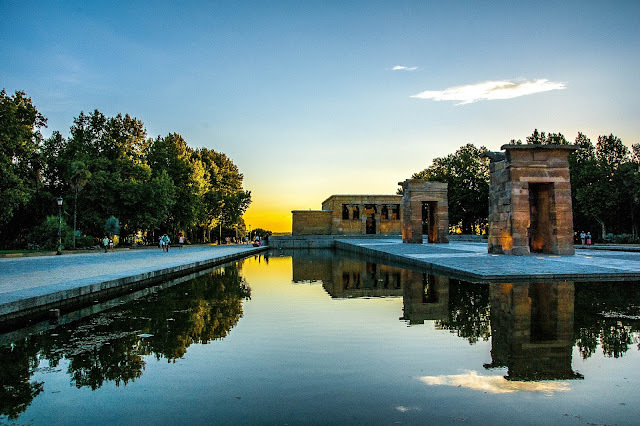 The Temple was donated to Spain by the Egyptian Government in 1968 and is the only one of its kind in the country. Spain must’ve done something really sweet, as this is quite a gift. Clearly, Egypt doesn’t believe in the whole ‘saying it with flowers’ thing. Go Egypt! I jest, of course. The Temple was gifted to the people of Spain as a gesture of thanks for helping to preserve ancient buildings at Abu Simbel. As well as the wonderful Temple that sits in the shallow waters, Parque de Oeste offers some wonderful views of Madrid and is a lovely place to grab yourself a patch of grass and watch the sun set. 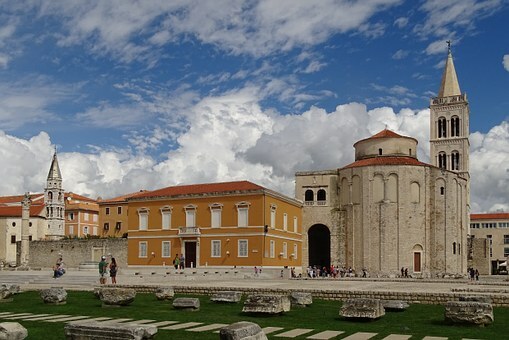 I’ve included both museums here, and I just couldn’t decide which one I love most. Also, I don’t want the other one to feel left out, because that would just be mean. Both museums are very different, with Del Prado housing the awesomely creepy ‘The Garden of Earthly Delights’ by Hieronymus Bosch, along with the far less nightmare inducing ‘Las Meninas’ by Velasquez. 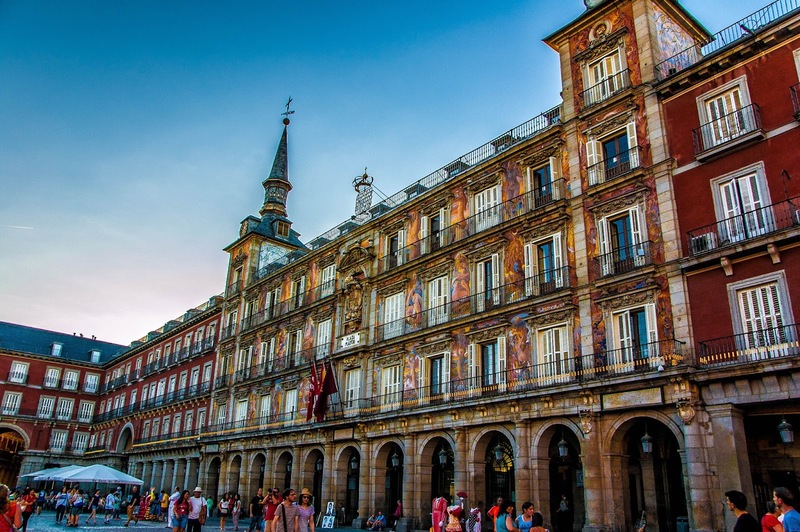 Del Prado is home to some of the best European art in the world. 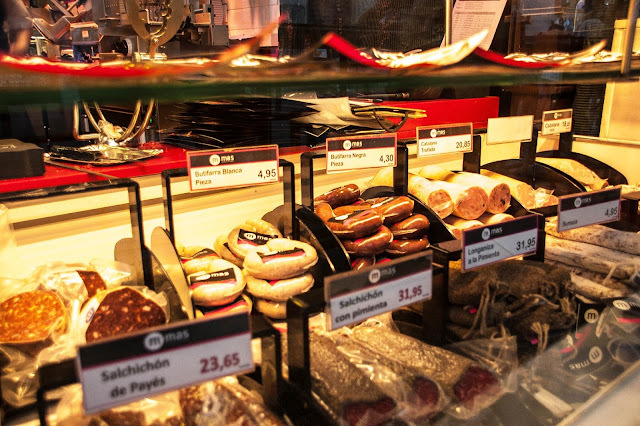 It also has a great Café, but that’s not really the point I’m supposed to be making here. You can gain free entry to del Padro, Monday to Saturday between 6-8pm. Let’s just call this Reina Sofia, for the sake of my poor fingers. The museum is the national centre for 20th Century art and mainly focuses on homegrown talent. Luckily, Spain has an abundance of wildly talented artists, and here you can see works by Joan Miro, Salvador Dali, and some bloke called Pablo Picasso. The highlight of any visit is viewing Picasso’s masterpiece, ‘Guernica’. Not going is a bit like visiting The Louvre and not taking time to have a peep at the Mona Lisa. It's just not the done thing, people. You can gain free entry to Reina Sofia, Tuesday to Sunday, 6-8pm. 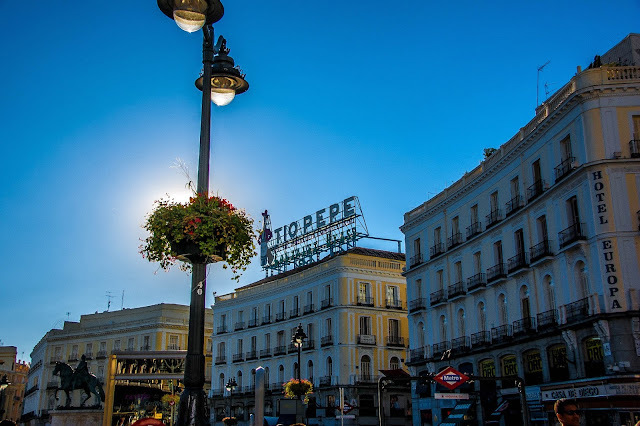 This is Madrid’s busiest square and it’s always bustling with action It leads off to many shops and is home to the wonderful ‘Tio Pepe’ sign that is synonymous with the city. Puerta del Sol is also home to ‘Kilometro Cero’, which is the spot from where all distances are measured in Spain. 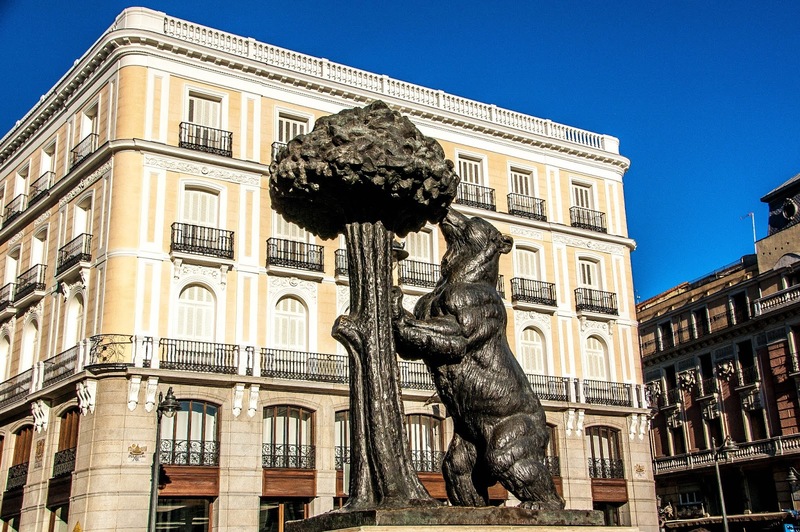 And if all that wasn’t enough, you can also find The Bear and the Madrono Tree statue, which is the symbol on the coat of arms of Madrid. OK, so this can be a little pricey, but it is THE place to watch the world go by in Madrid. The main square is popular with tourists and locals and there’s a great meeting place in the middle, by the statue of Felipe 111. 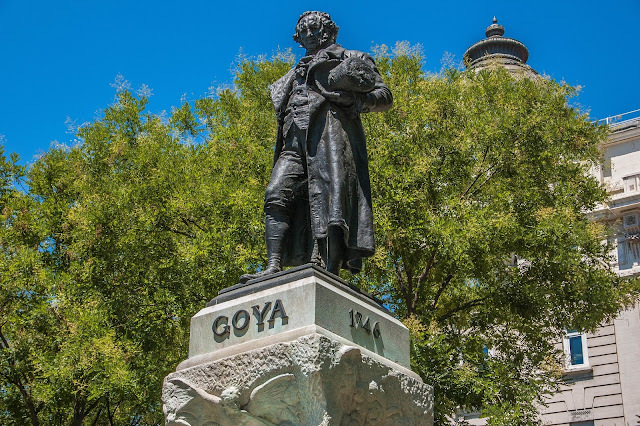 The main tourist centre is also located in the Plaza and has excellent staff, which you can quiz about all the main attractions. You can also pick up a great free city map here. 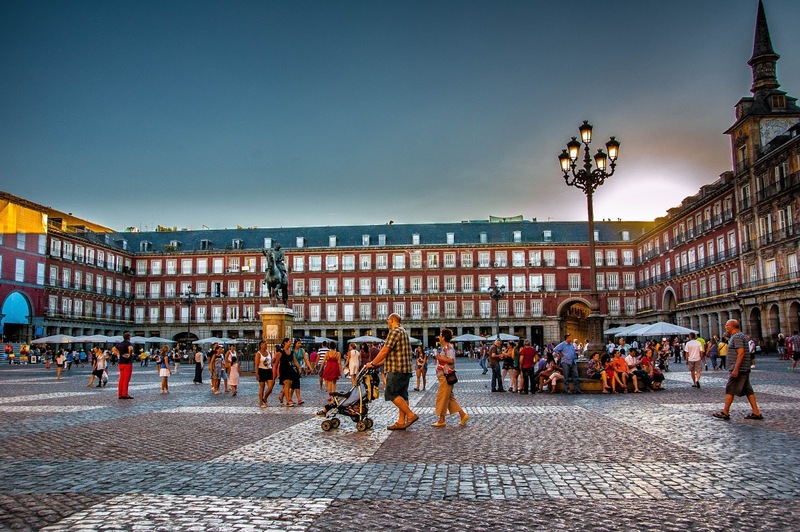 San Miguel is located in the heart of the city and is the only surviving iron structured market in Madrid. It is located just a minute walk away from Plaza Mayor and houses a wide range of produce. 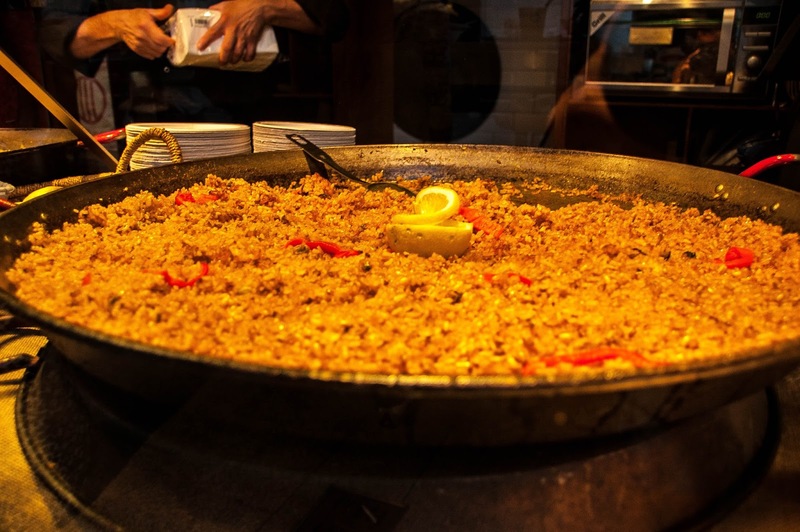 You can smell it before you get there and we spent a relaxing hour, wandering around, trying out the local dishes and watching the vendors cook paella in massive cast iron dishes. 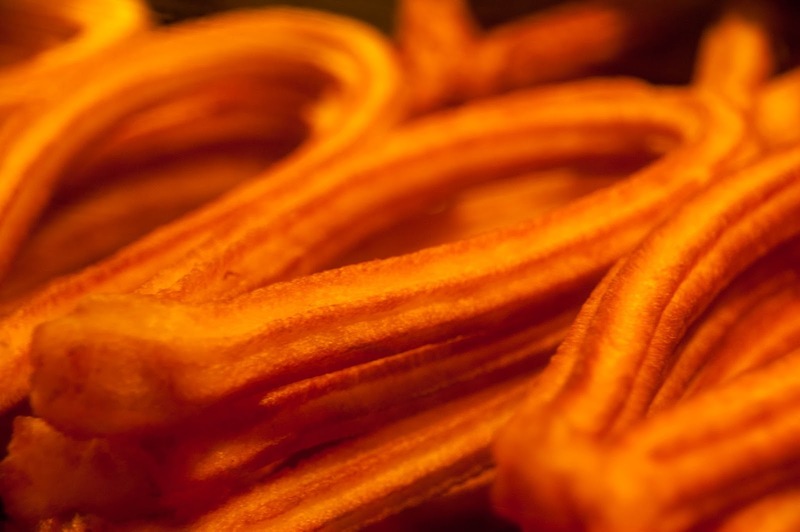 LT particularly enjoyed his first taste of authentic churros, which he still talks about with a misty, faraway look in his eyes, even now. We also spent a great day out at Buen Retiro, which has its own post HERE.